Many hospitals and doctors rightly have campaigned to get more patients to provide information in advance about their end-of-life care choices, but doesn’t that mean that the choices when made should be respected? And if they’re not, what role do the courts have? Paula Span, a New York Times columnist who writes on aging issues, reports that a growing number of patients and families have sued hospitals, doctors, and nurses for disregarding or overriding advance directives. There are various kinds of these legal documents. But they often become part of patients’ medical records, directing caregivers, for example, that an individual does not want extreme measures taken to resuscitate them or to sustain their lives. This can go against deep traditions in medicine, especially for caregivers accustomed to crisis responses in difficult, exigent circumstances. They think of themselves as life changers and life savers. At the same time, patients have insisted that their rights and choices demand respect. Many physicians and hospitals have recognized and encouraged this, as has the U.S. health care system more generally, for example, via Medicare. That’s partly because end of life care has become extraordinarily expensive and inefficient. Some researchers have estimated that a third of all the billions of dollars in annual Medicare spending goes for the 5 percent of beneficiaries in their last year, with a third of that amount expended just in the last month of their lives. It is true that keeping alive patients at the brink can involve “heroic” action by caregivers. But for patients, it also can be invasive, excruciating, and may leave them in bad or even worse shape. Turn off the TV dramas. Common procedures like CPR can damage the bodies of older, sicker, and frailer patients. It can result in broken ribs, which are among the more painful injuries many of us can experience, with constant discomfort. It affects breathing, and for the already ill, it can lead to pneumonia and other life-threatening complications. Wired, a publication targeted at a younger, tech savvy crowd, points out that technology plays a rising role in end-of-life interventions—and not always in pleasing ways. Ventilator machines can sustain lives but with extreme discomfort for patients hooked up to them. The devices also can be expensive for longer-term care, running up costs in the tens or even hundreds of thousands of dollars for patients who must stay on them for months or longer. In my practice, I see the huge harms that patients can suffer while seeking medical services. 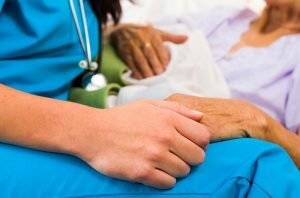 I’ve written about the importance of end-of-life planning, and it’s dismaying that clear, well-thought patient directives can be discarded so easily in the heat of the moment in a hospital room. Span’s piece in the New York Times says the law is developing and unsettled in its responses to ignored end-of-life wishes. The judgments haven’t been large nor maybe even fully paid out. Regulatory fines or penalties have been small. But when patients look to protect themselves and their families from the emotional, practical, and financial devastation that can result from zero end-of-life planning, that’s big. Hospitals, doctors, and nurses can’t ignore these important wishes.